Bring that all back around to today. I use SendOutCards for everything! I LOVE it, and love the difference this system makes in my relationships. Not just professional, either. I use this all the time – family, friends, referral partners, people who do something nice for me or my family – the list is endless. Which leads us to using SendOutCards to send out your personalized holiday cards! 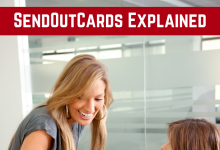 If you don’t have a SendOutCards account, now’s the time to try it out for free. Click here, then scroll down and click “Send a Card.” It’s that simple. Watch the video in this post, or watch it directly on Youtube. In this video, I walk you through HOW to send a card on the SendOutCards system. It only takes a few minutes. Think of someone who needs to hear from you. Don’t overthink it! Send your free card to the first person who crosses your mind. Of course, you have to have their physical mailing address. So most often, I see people choose to send their free card to their spouse, their child, or a co-worker/boss. These are all people that share the same addresses as you, so that makes it easy. DO NOT send your first card to yourself! When I see that you took action, I’ll be sending you a personal card. So you’ll get to see for yourself. Don’t hit the back button while you’re going through the process. Sometimes this “disconnects” the free card. I don’t want you to have to pay for that 1st card! And MOST important – if you’ve already been talking to someone else about SendOutCards, make sure you connect with them to send your free card! OK, that’s it! So let’s get that card sent NOW. Who needs to hear from you? Once you’ve sent the card, you will have the Basic account. 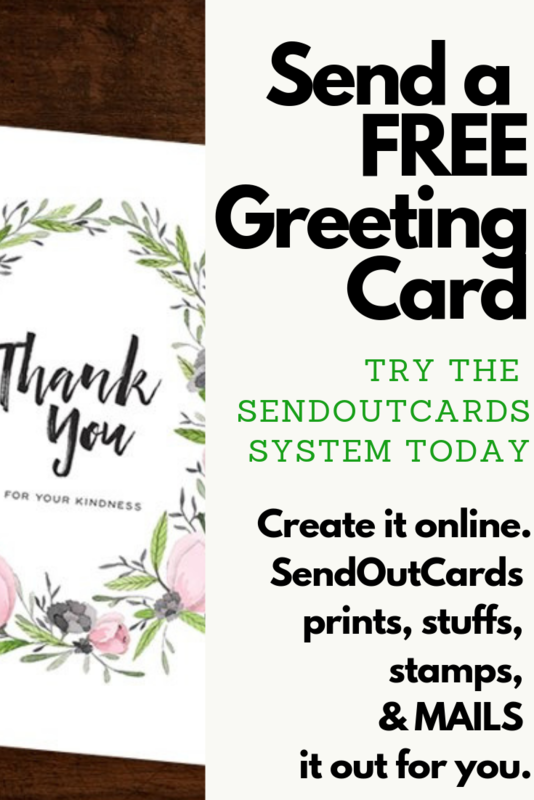 You can log onto your new SendOutCards account and send out as many as you want. The most expensive cards on SendOutCards are still cheaper than a greeting card you’d buy at the store. AND it’s personal! You can upload photos, personal messages, even send gifts along with the card. You may have found this post any time of the year. So send that card! But if you’re following along on the “Holiday Cards Made as Easy as 1-2-3” series, then you’ve just completed step 3! Step 1 – get your contacts in order. 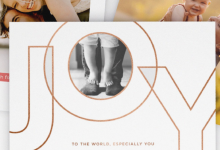 Step 2 – Get your photos and message ready for your holiday cards. 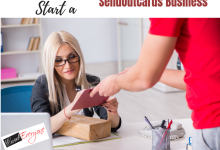 Step 3 – Know how to send a card on the SendOutCards system. AND NOW – you’re ready for the Holiday Card Workshop Webinar. That post will go up tomorrow. But I DO like to reward people who read all the way through one of my blog posts. So if that’s YOU, and you’re ready for the Holiday Card Workshop Webinar, just click here. The video is up and ready for you to take action! 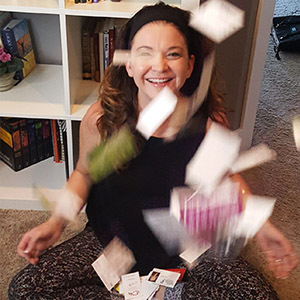 This is a replay of the live webinar I did for current customers of SendOutCards. It lasts one hour, and at the end of it you will have your holiday cards DONE and SENT! As always, I’m here for you. Have questions? Want to know more? Contact me! 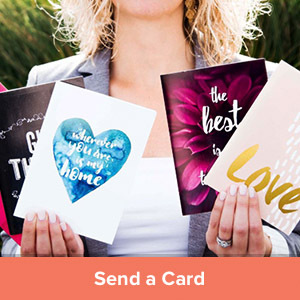 PS – If you send your free card, you may love it! If you do, here’s some information on pricing and subscriptions. 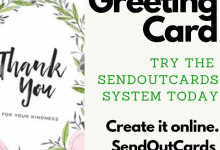 Try out SendOutCards for free. But beware – it will change the way you connect with customers and increase your referrals!